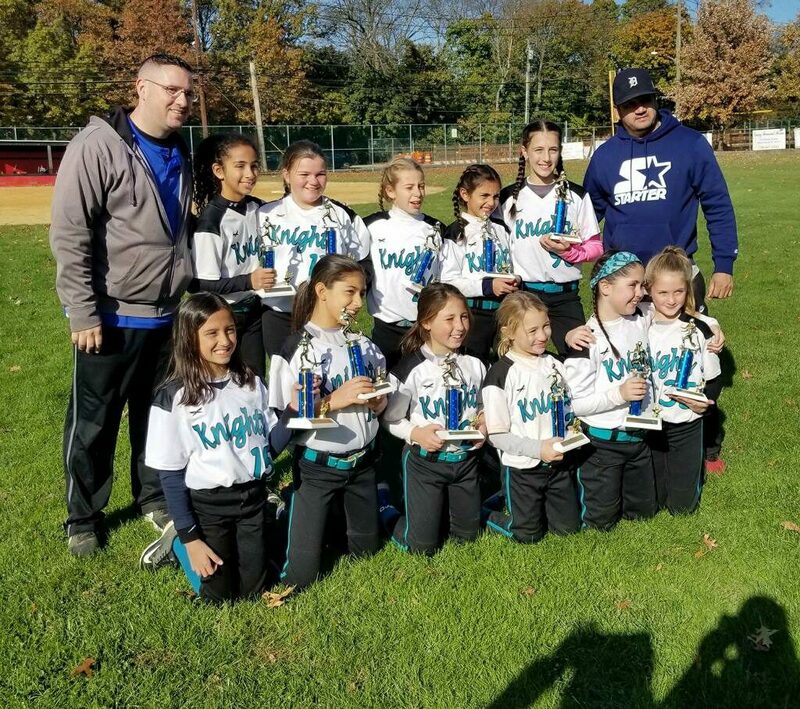 This year , The Knights have combined with the Bay Ridge Red Devils to offer a more advanced level of play for travel teams in 10U and 12U. These tournament teams will more than likely play in two tournaments per month from Spring to Fall. Most of the tournaments they will participate in are hosted by the USSSA. They will have a rigorous practice schedule throughout the year to keep them on an advanced track for skills development (to be able to handle that level of play). We will more than likely carry a roster of 12 girls on each team. If you are interested in trying out for a spot, please e-mail me at McCarthy@freehill.com or call 917-675-1476. 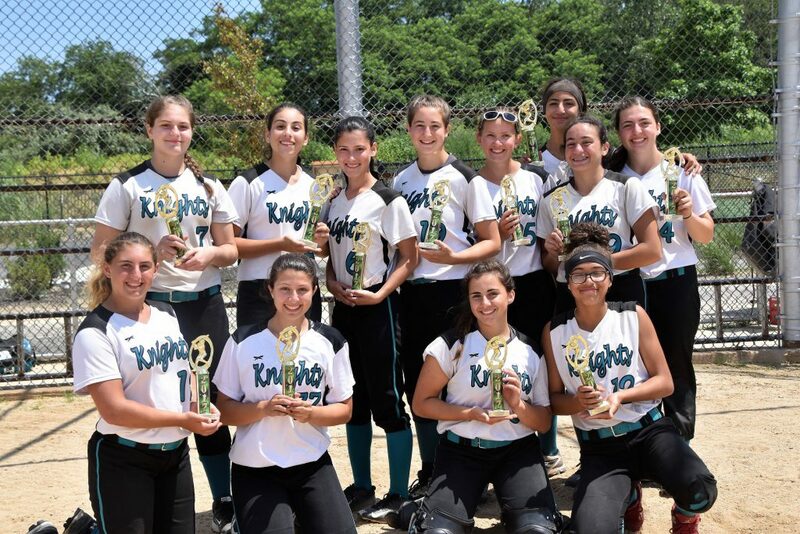 Our 12U, 14U and 16U Knights teams will continue to play in tournaments throughout the Spring, Summer and Fall and may enter in the New Jersey District II league in 2019. 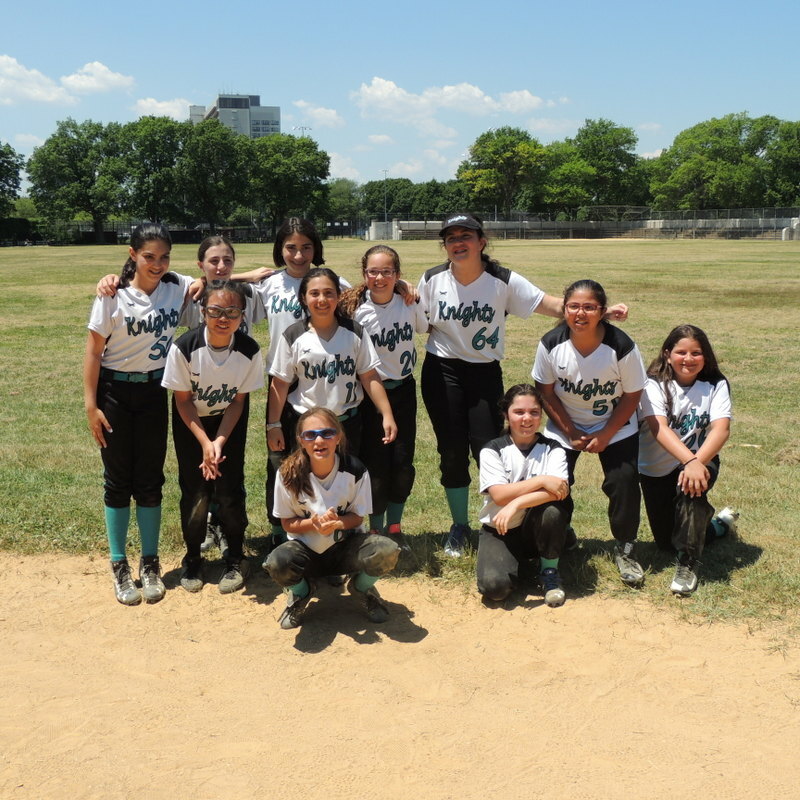 Our softball program offers 2-3 practices per week. Our Spring, Summer and Fall seasons start in March and run until November. 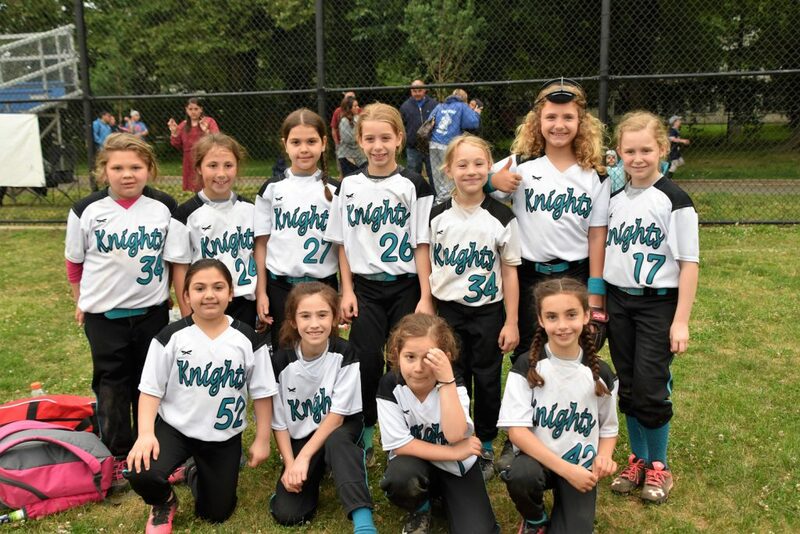 All our girls have the opportunity to practice windmill pitching with coach Victoria Capozucca on Thursday at St. Bernadette gymnasium and Saturday mornings with Rock at St. Bernadette . We host separate catcher clinics as well on Wednesdays at St. Mary’s with Coach Craig Noto (D1 coach). Coach Lindsey Ubrum (D1) works with our girls every Sunday at St. Bernadette. We strive to develop talented softball players and that have incredible work ethic. 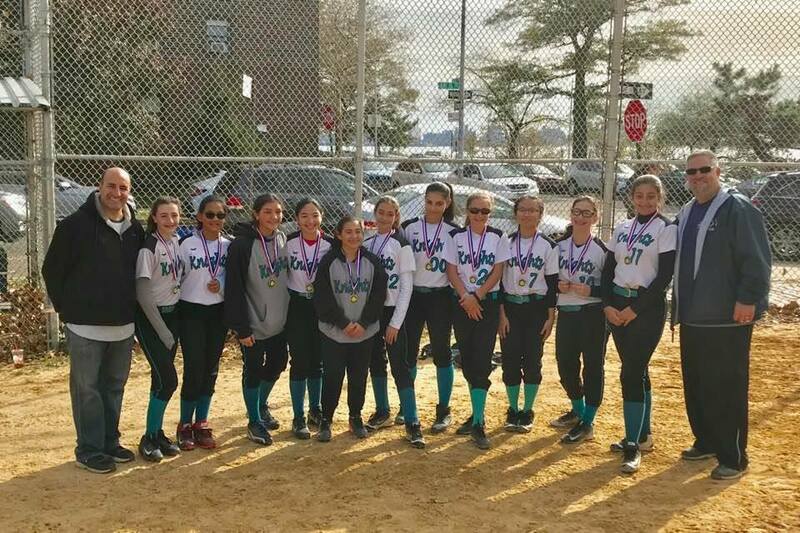 We instill the love of the game in all girls because it is our hope that they will go on to play high school ball and even college ball. Our program tries to inspire our players to do more than they think they can. We get our players to entertain possibilities that stretch the limits of their beliefs. We approach softball teaching as opportunities where the more important life lessons can be taught such as mastering hardship, handling and rebounding from failures and setbacks, trusting your teammates, sacrificing individual needs for the benefit of the group, emotionally dealing with winning and losing, good sportsmanship, fair play, honesty, integrity. We inspire our athletes to believe in themselves is by continually putting them in situations which challenge their limiting beliefs. We don’t allow our players to just get by with the status quo. We push our athletes outside of their comfort zone, physically, mentally and emotionally, and then helping them discover that, in fact, they can do better than they first believed they could. Our coaches have enormous passion for the game and try to instill that passion each and every day in all our girls. They also realize that softball is just a game, and games are meant to be fun. They find creative ways to integrate this fun into what they do over the course of the season, on a daily basis in practice and during competitions. We are finishing up our winter workouts so if you still are interested and feel that you have a daughter that may want to try softball – this may be a great opportunity to test the waters. 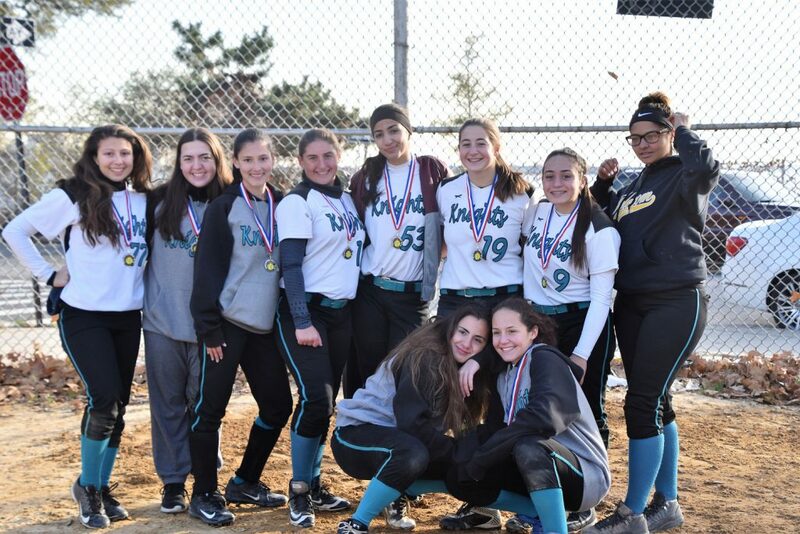 If you are interested – please e-mail (mccarthy@freehill.com) or call my cell 917-675-1476 and I will provide you with information for our next winter practice. 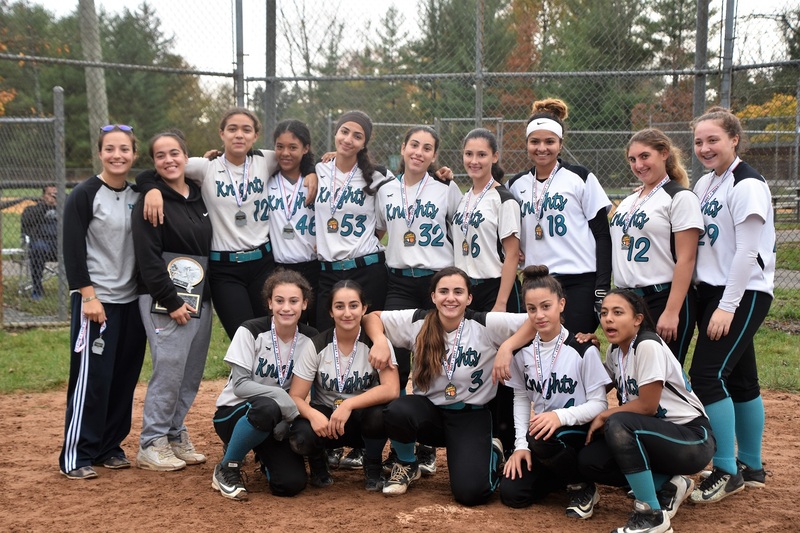 BROOKLYN, N.Y.—After leading the St. Joseph’s College (Brooklyn) softball team to their seventh straight Hudson Valley Intercollegiate Athletic Conference Tournament title, Cassandra Molinari, Samantha Rossi, Kristin Ferrigno and Maria Gentile were named to the 2015 All-HVIAC Softball Team. The quadruple led the Lady Bears (22-16) to their first 20-win season and berth in the United States Collegiate Athletic Association National Championships since 2012. Molinari, a senior catcher/second baseman, is the top run producer for the Lady Bears, leading the team and the conference with 27 runs batted in and scoring 25 times. The St. Edmund Prep product is batting .311 with six doubles and compiled nine multi-hit games highlighted by a 2-for-3 effort with four RBI vs. Lehman. Rossi, a sophomore outfielder, trails Molinari tied for second on the team with 26 RBI and 24 runs scored. A one-time Player of the Week, the Mary Louis Academy product, currently bats .362 with five doubles and two triples and seven stolen bases. Rossi has also knocked multiple hits in a team-high-tying 11 games, registered a team-leading eight games with multiple RBI and has an active seven-game hitting streak. Ferrigno, a sophomore third baseman, sets the table as the Lady Bears leadoff hitter leading the team and league with a .392 batting average, 40 hits and 36 runs scored and a third-best .496 on base percentage. Also a one-time Player of the Week, the Bishop Kearney product started in all 38 games and contributed 19 RBI and has swiped 10 stolen bases. She shares the team lead with Rossi with 11 multi-hit games and is one of the hottest hitters over the latter part of the season batting .621 (18-for-29) over the last 10 games. Gentile, a freshman first baseman, has produced a fine rookie campaign batting .365 with a team-second-best .492 slugging percentage and eight extra base hits. The Fontbonne Hall Academy product also accumulated 16 runs scored, 14 RBI and two stolen bases. The one-time Rookie of the Week and assembled a six-game hitting streak in the middle of the season and had four multi-hit and multi-RBI games this season. Molinari receives the accolade for the third straight year, while Rossi and Ferrigno are two-time honorees and Gentile, a rookie, receives the award for the first time. The Lady Bears have added one final regular season tune-up in preparation for the USCAA Nationals, facing USCAA foe Briarcliffe in a single road game tomorrow at Holbrook, N.Y. at 5:30 p.m. The team will depart for Akron, Ohio on Sunday to begin their quest for their first national championship when play begins on Monday morning.